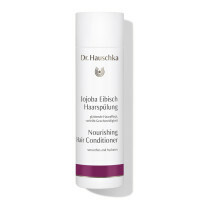 The Shower Cream from Dr. Hauschka is gentle and creamy, slightly foaming and has an invigorating, enlivening scent. Mild sugar surfactants make it a friendly choice for both your skin and the environment. Further sustainability is ensured by the tube, made from a combination of recycled and easy-to-recycle plastic. Do you recognise the scent of our Shower Cream? The product inside this innovative packaging is in fact our much-loved Lemon Lemongrass Vitalising Body Wash, which now supplements the Dr. Hauschka range as a Shower Cream. Discover this harmonious formulation anew – or for the very first time. The formula of high-quality natural ingredients with pure essential oils combines gentle care with invigorating freshness. Protective quince seed extract activates the skin’s natural defences. Plant-based cleansers gently purify the skin while precious oils provide extra nourishment. The scent of lemon and lemongrass creates a light burst of freshness. 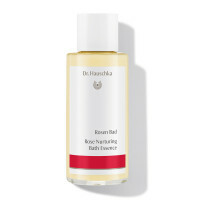 Massage Dr. Hauschka Shower Cream into damp skin, then rinse thoroughly. The new Shower Cream is similar to a shower gel or body wash, with a formulation that is particularly kind to the skin. Share your product review or your experiences with us. Dr. Hauschka team will check your comment before it is published. You will find further information about our data protection regulations here.